Breaking! Scream Factory to Release Clive Barker’s Nightbreed: The Cabal Cut! Darkman! Assault on Precinct 13! And More! ShockTillYouDrop.com just left the Scream Factory panel at Comic-Con where the company dropped some major release announcements. We gave you the play-by-play earlier this evening via our Twitter account. The big gun? 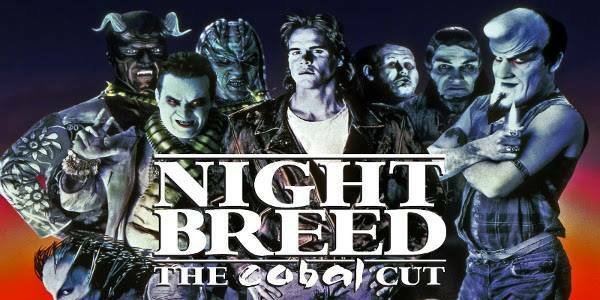 They closed a deal today to handle the release of Clive Barker’s Nightbreed: The Cabal Cut. This is the extended cut that has been making the film festival and private screening rounds. The Scream Factory reps stressed they do not have a release date yet as it is “going to take some time” to restore the film for Blu-ray. Also on the Blu-ray release roster for 2013/2014: Assault on Precinct 13, Sam Raimi’s Darkman, Saturn 3, Eve of Destruction and Paul Schrader’s Cat People.